Hello sweeties! 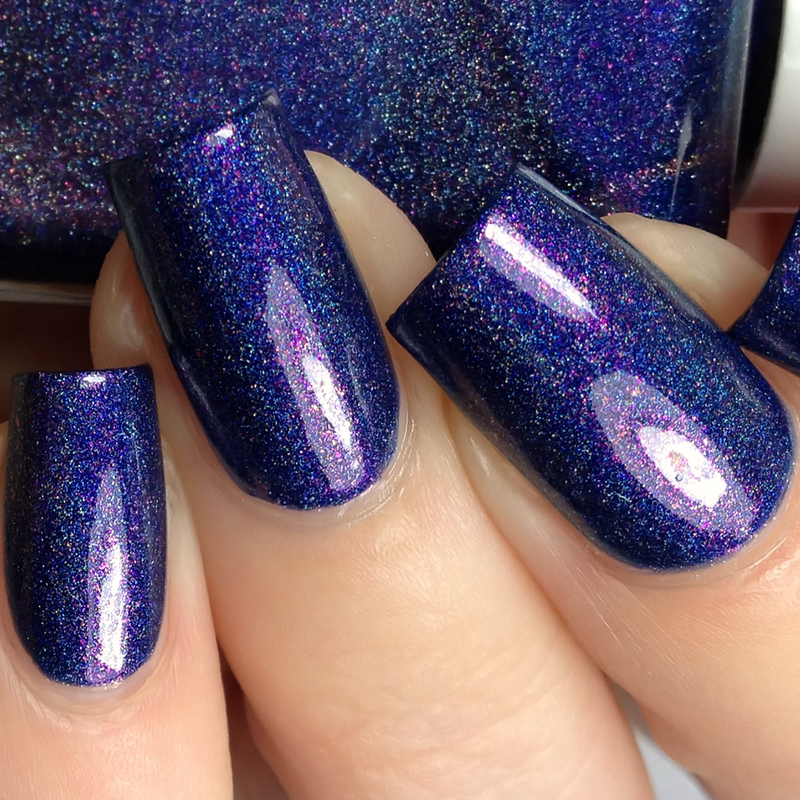 I have the February The Holo Hookup Box to share with you today! 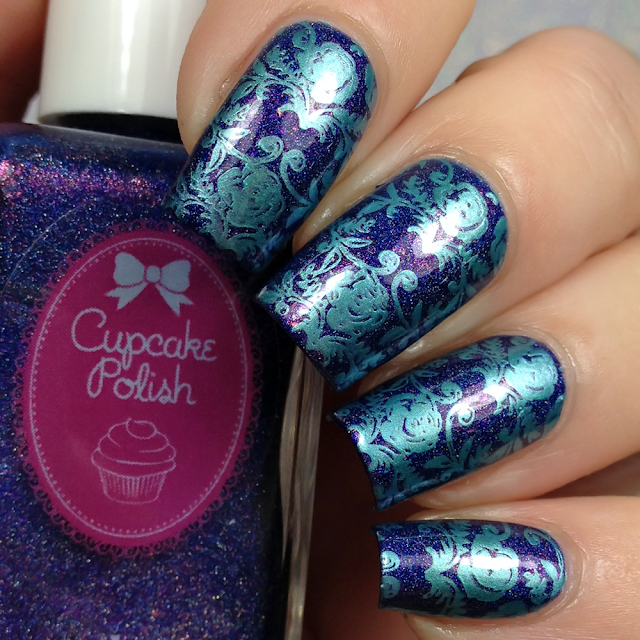 If you don't already know, The Holo Hookup is a monthly holo polish filled collab between 3 makers plus a guest. 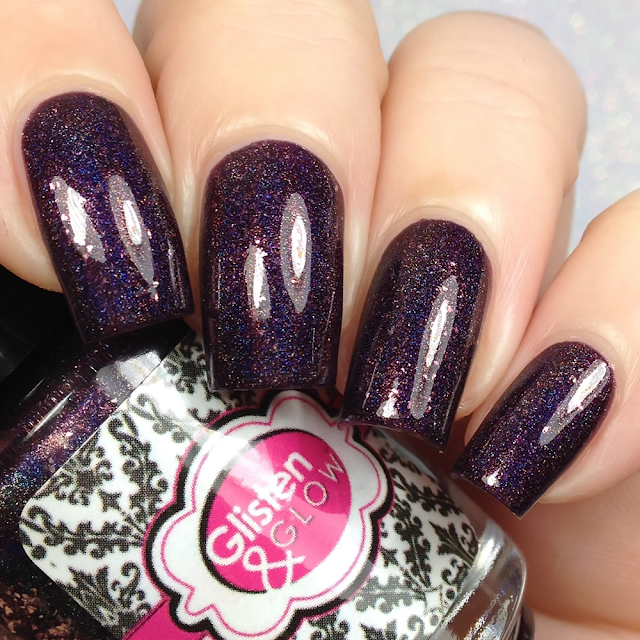 Glisten & Glow, Different Dimension and Cupcake Polish are the great creators of the box and this month the guest is the Baroness X! Read on for more info! 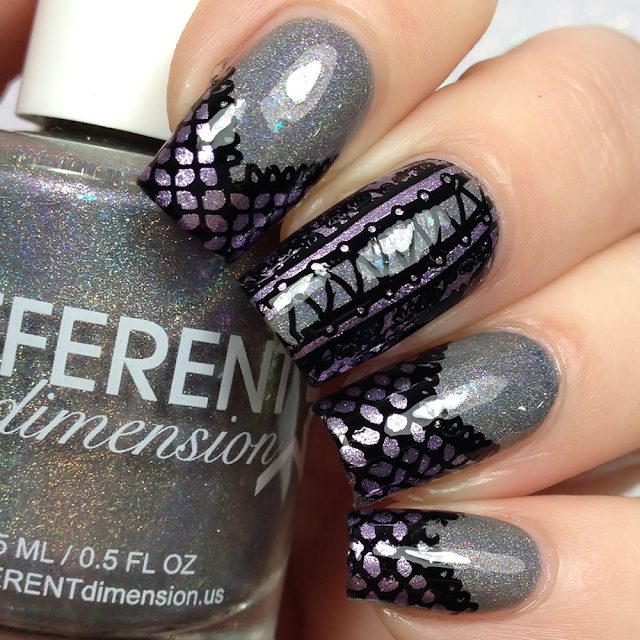 Described as a blackened purple linear holo with platinum flakes. 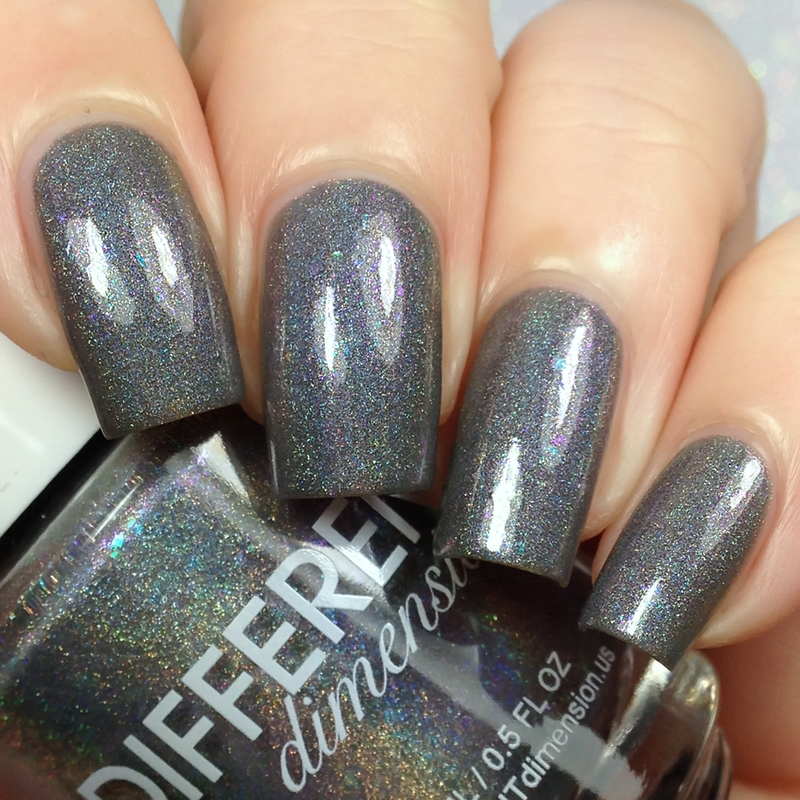 Shown here in two coats plus top coat. Formula was good and applied well. Barely needed a second coat. Dries with subtle texture so a top coat is needed for a full, glossy finish. 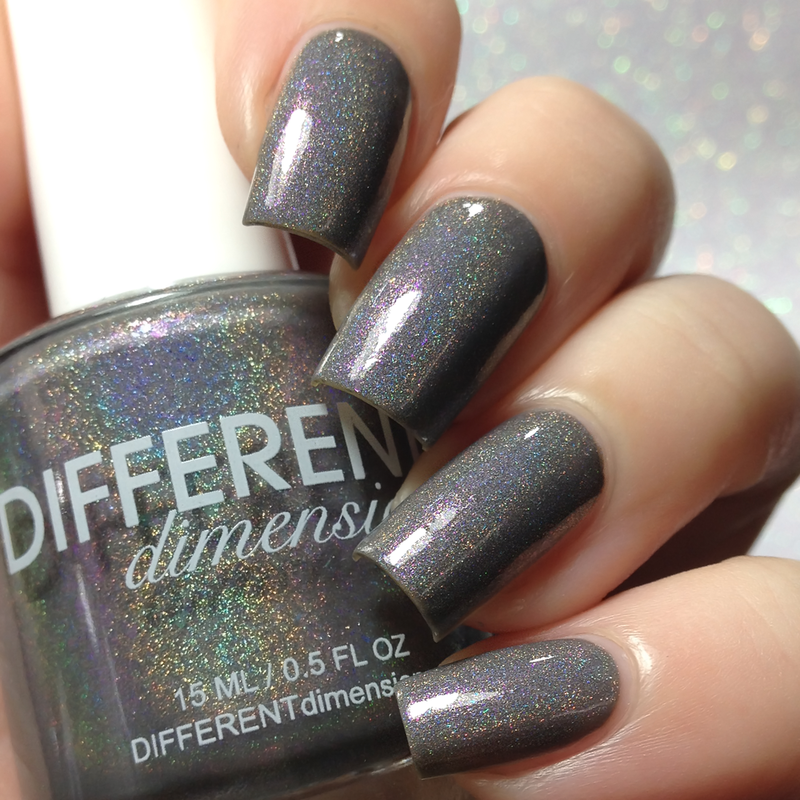 Described as a grey creme based linear holographic polish with added color shifting flakies and aurora shimmers. Shown here in two coats plus top coat. Formula was good and applied well. 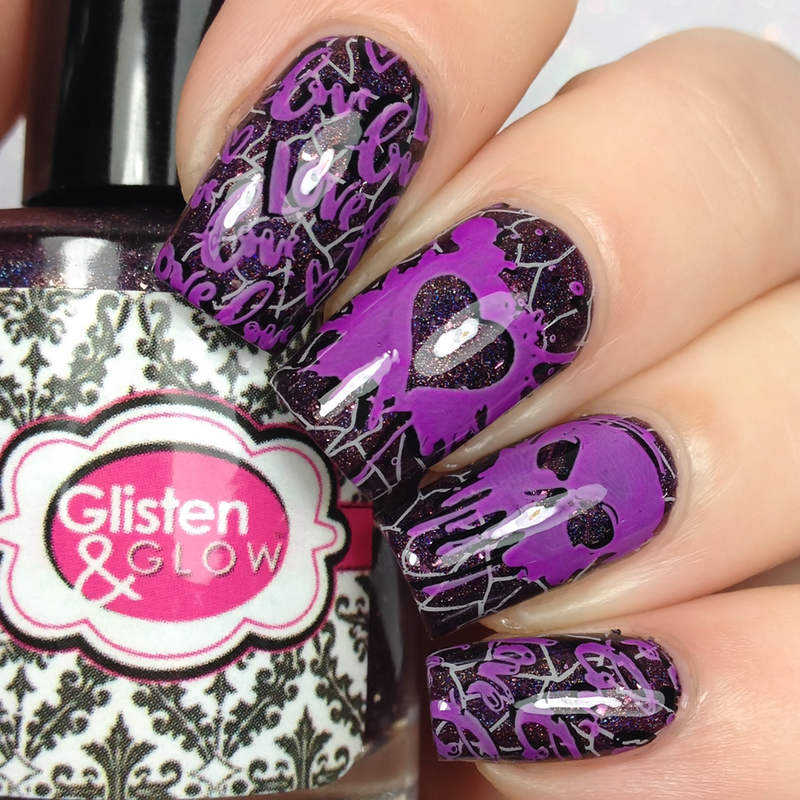 Dries with subtle texture so a top coat is needed for a full, glossy finish. 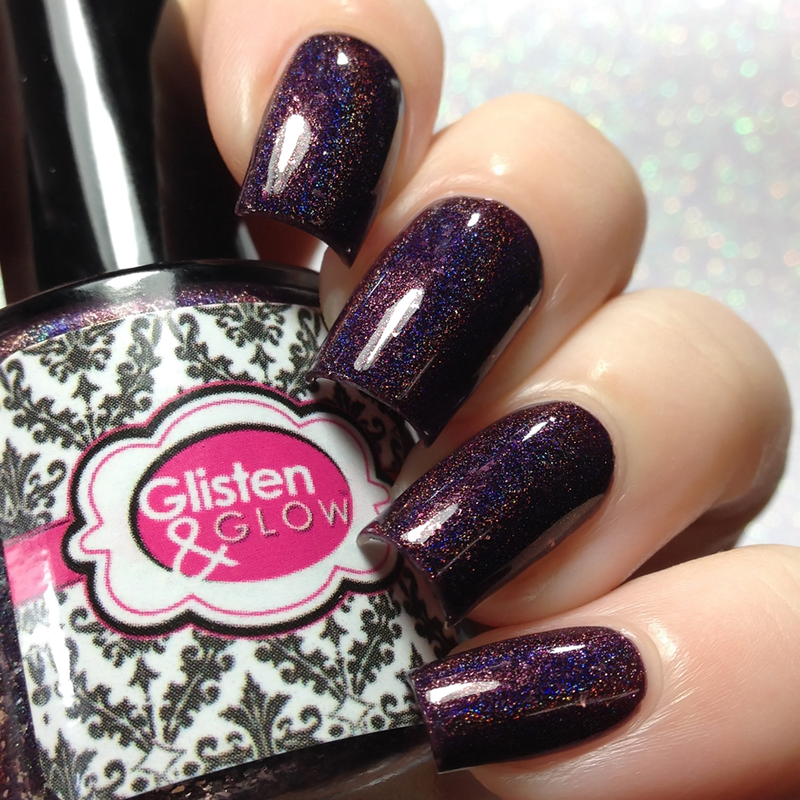 Described as a cool toned purple linear holographic nail polish with a strong red to gold shifting aurora shimmer. 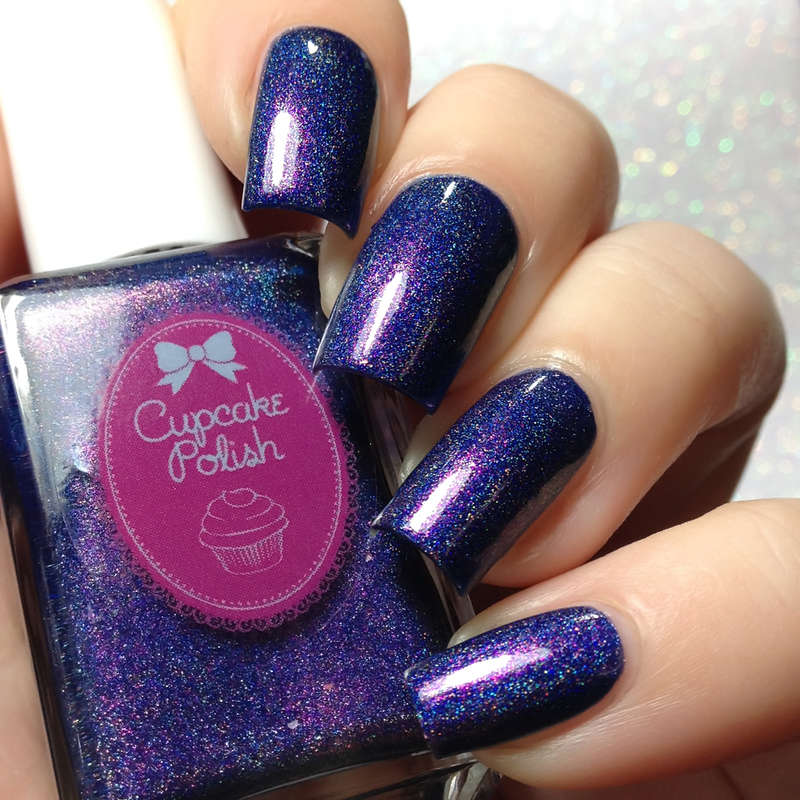 Shown here in two coats plus top coat. Formula was good and applied well. Barely needed a second coat. Top coat is needed for a full, glossy finish. 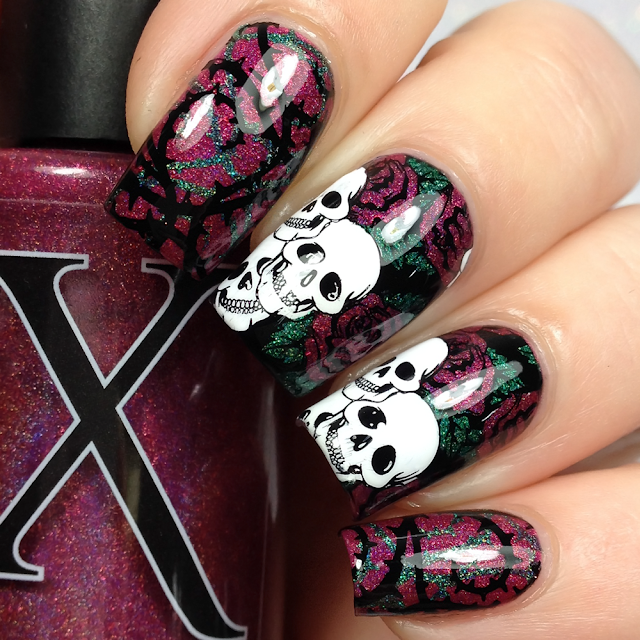 Described as a deep berry jelly based linear holo is filled with red metallic microflakies and is inspired by blood red velvet. Shown here in two coats plus top coat. Formula was good and applied well. Top coat is needed for a full, glossy finish.